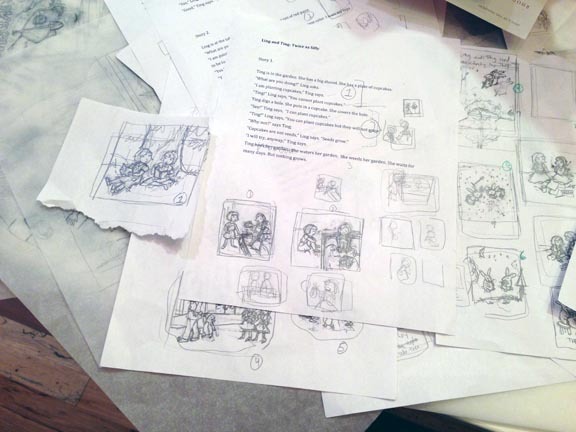 It's sketches for Ling & Ting Book 3!! Yes, even though Ling & Ting Shares a Birthday isn't out until September, I'm already at work on book 3. Three books make a series, right?